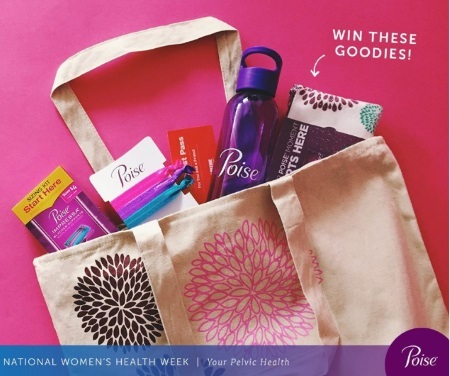 Poise is giving away three Fitness packs with goodies like a Poise tote bag, a Poise water bottle, colourful hair ties, Lifetime fitness pass and Poise products! To enter for a chance to win, just comment on the linked post below, and tell them when you do your Kegels! Contest ends tonight, Monday, May 15 at 11:59pm ET.